*This app is specifically for iPad. It will not work on iPhone/iPod touch. *Apple, iPad, iPhone, iPod touch, and iTunes are trademarks of Apple Inc. registered in the United States and other countries. 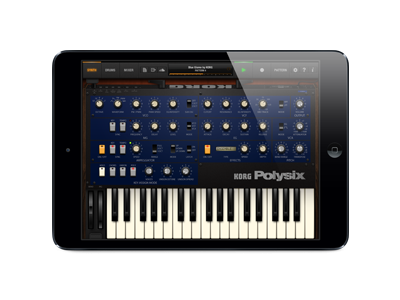 KORG iPolysix for iPad is available for download purchase from the Apple App Store.